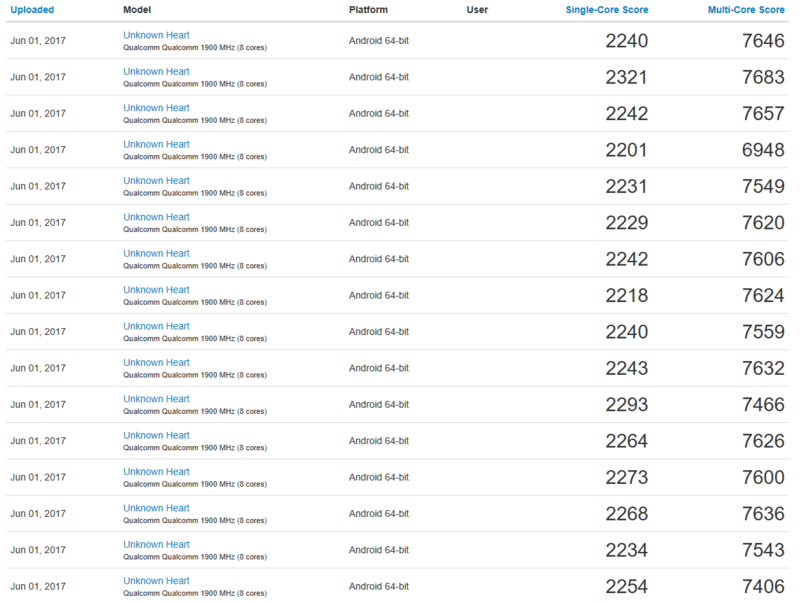 This morning 26 new entries of a device called “Unknown Heart” appeared in the Geekbench database. “Unknown Heart” comes with the Qualcomm Snapdragon 835 platform and 4GB RAM, and thanks to Frandroid’s live pictures, we know that “Unknow Heart” with Snapdragon 835 and 4GB RAM is a Nokia-branded flagship we call Nokia 9. The new entries have the same results as the TA-1004 results we saw about a week ago. NPU received the info that two HMD devices, TA-1004 and TA-1012, passed EA Union certification. EA Union stands for Eurasian Union, but I cannot find the source or the search site for the EA Union’s database so we have to trust NPU on this one. The two devices receive certificates on 11th May this year, which means that we may soon see a Nokia flagship. Apart from the Nokia 9 with 4GB RAM we saw on benchmarks, HMD is considering an 8GB RAM version as well. We found the device also on Geekbench and wrote about it here. Today, on the 2nd of June, few dozens of new Nokia 9 entries appeared on Geekbench with the same specifications and similar results. Update 3: Three “Unknown Heart” devices today appeared in Geekbench 4 database, too. With the same specifications as the one above.